I love to grow my own fruits and vegies. Most of my trees bought from DALEYS. My block is 700 square meters. I am very happy with what I grow. 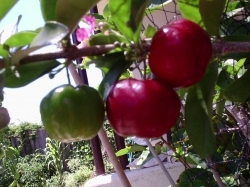 The reward is to pick my own fruits that I can't buy in the shops like Acerola, Jaboticaba, white sapote,goji berries and Chinese date/jujube etc. 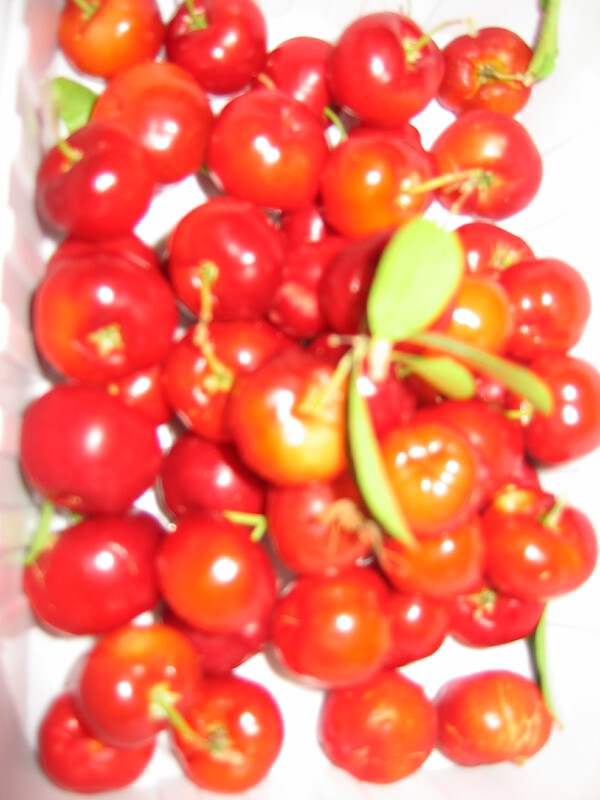 Also home grown fruits taste much better than shop bought ones.. I believe gardening is not a chore but a hobby. Too much rain (I am not complaining) make some trees have heavy crops but others just don't have much but that is part of the nature. Look what I harvested today. It is a late Christmas present, I am very delighted. Some of those is as big as a 50cents or 20 cents. 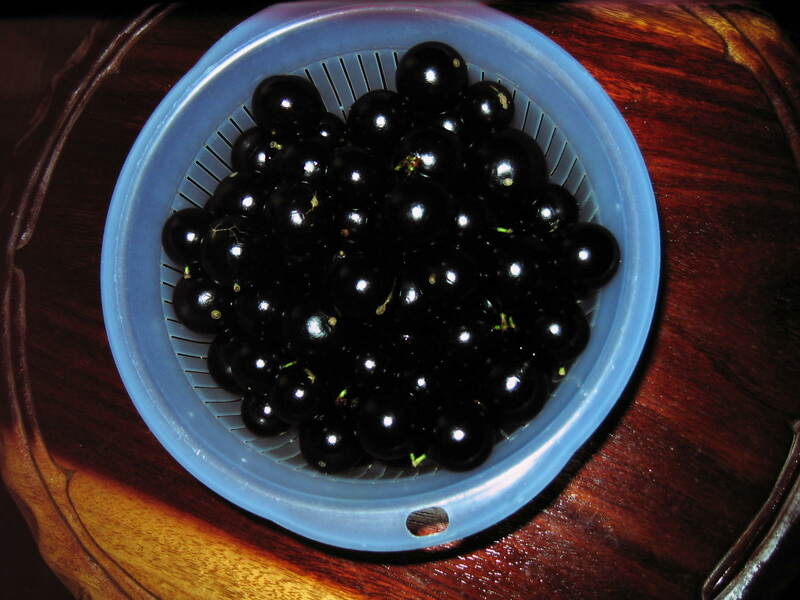 I highly recommend everyone to have a jaboticaba tree in Melbourne. If you give your tree enough water and fertilizer you would have at least 2 crops of beautiful fruits per year in about 2 or 3 year time. For best result, mulch heavily, needs acidic soil and plenty of water. Camillia or Azaria fertiliser is recomended. For young tree I recomend dynamic lifter to speed up the growing process. Flowers a couple of times a year but due to cold weather in Melbourne. Fruits only set in warmer months. 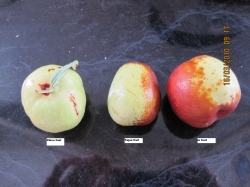 It takes only a month from fruit set to mature. Lovely fruit very similar to Mangosteen in texture. Birds, netting or bagging is recommended. I have 8 trees, two of them 10 years old, the rest are newly planted September 2009. 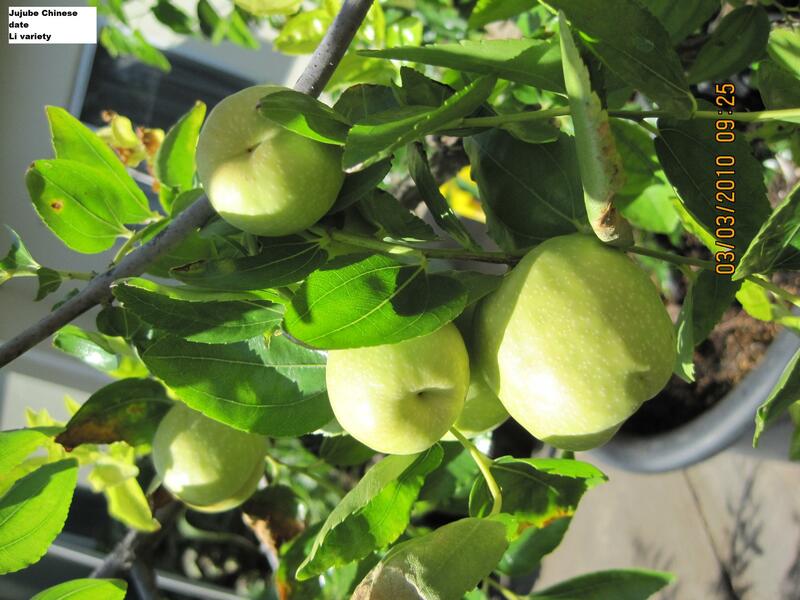 Very easy to look after, no pruning, pest free, not fussy about soil. 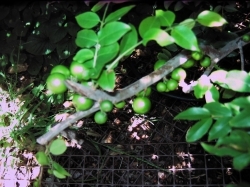 Jujube fruit will dry on the tree after ripening. 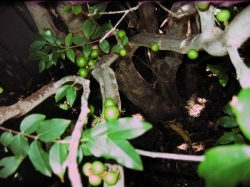 Dried fruits require no preservative; the tree can go through drought. 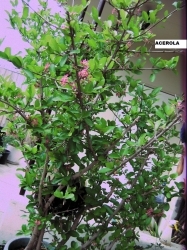 In general and also apply to this fruit tree, to get abundant of fruits, water should be given during flowering and fruiting season otherwise fruit embryos will drop. 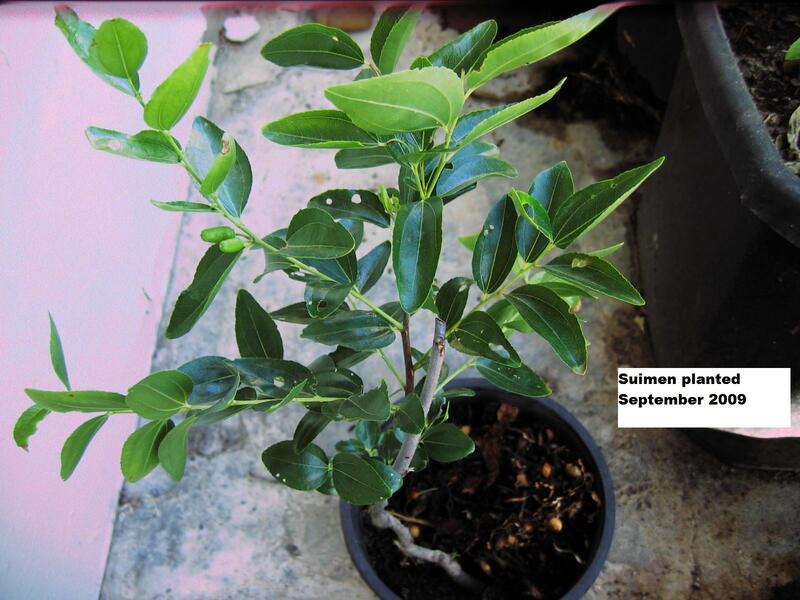 Fertiliser: Dynamic lifter, blood and bone or aged manure are recommended, a bit at the time after 4 months in the ground or pot, then every 2 months in growing seasons. Apply Richo brand completed minerals once a year in December as vitamin supplementary. 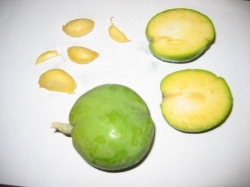 I was told by a herbalist that this fruit is very good for your health, ranging from purifying your blood to reducing menopause symptom etc. 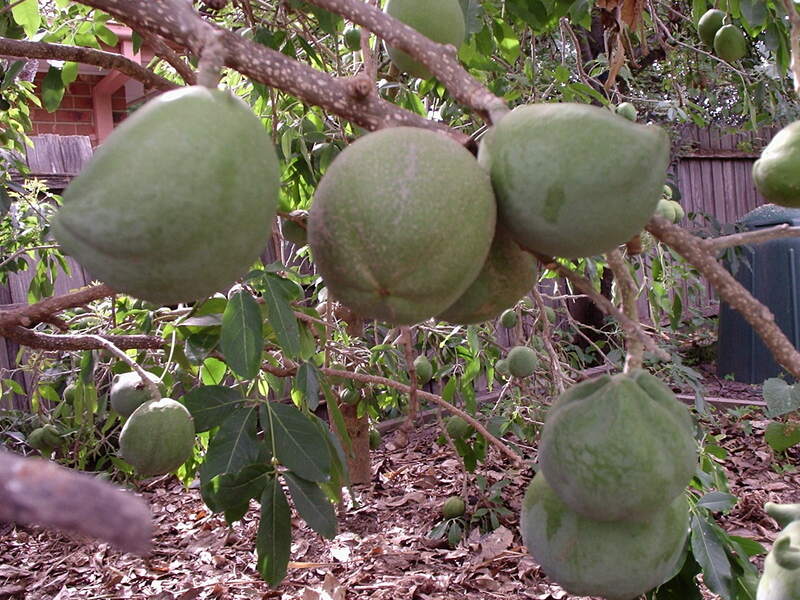 Personally, it is a nice sweet fruit to eat, you can eat fresh or dried. Shredded dried fruit that can be added to cereal. You can cook the same way as dried sultana. Making mildly sweet tea from dried fruit by just dropping a few slices of dried jujube fruits in boiling water. Serve as tea and then eat the residue. In Thailand, a drinkcan be made from dried fruit mixed with sugar and hot water, then served chilled. 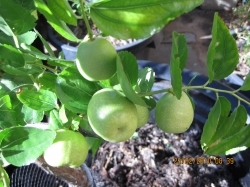 They are rare but not tropical fruit trees so very suitable for Melbourne, NSW, TAS, Canberra, Southern QLD, SA climates. Grow very well in large pots (50 litres or larger) or in the ground. I do send interstates. 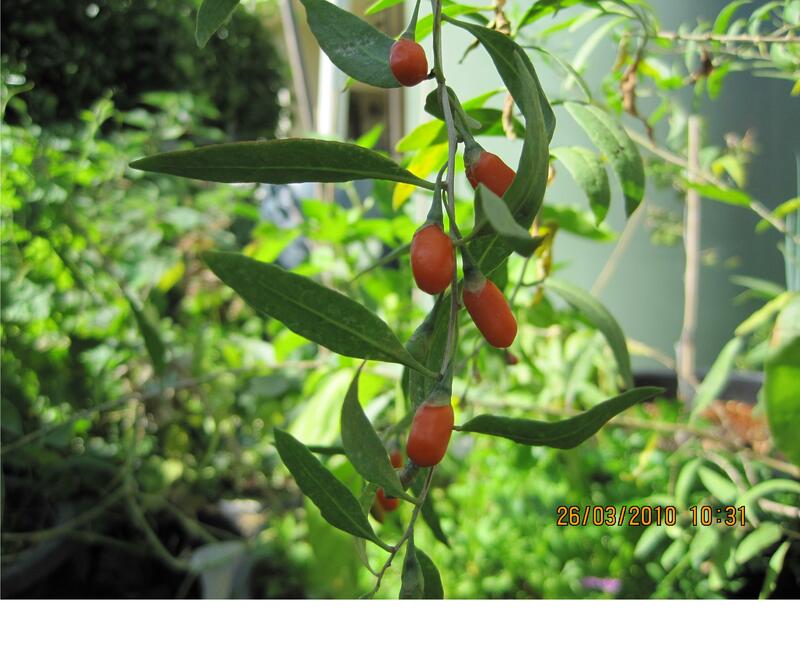 Hi Nguyet , I want to move my Jujube to another spot in the garden . Should I move it now while it's dormant or wait until spring? 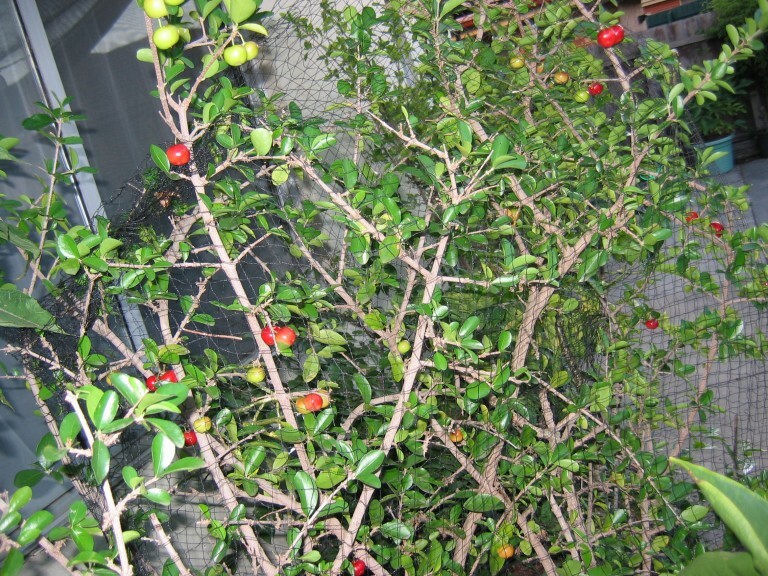 Hi Michael, Yes, You can move your jujube tree in winter (June to August) while they are in dormant. 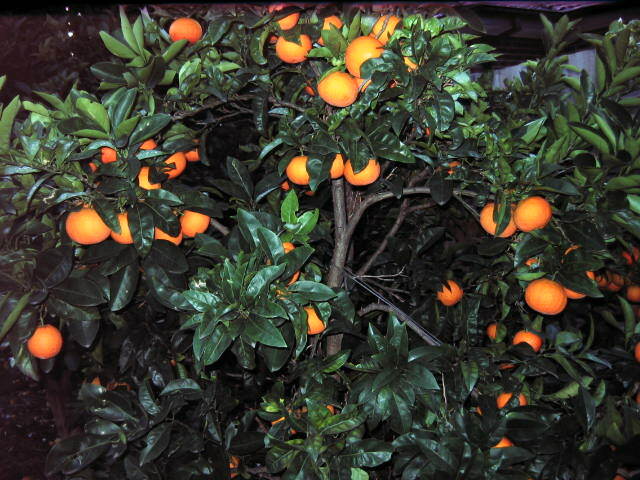 Please make sure your tree is in Full sun location to be able to produce fruits properly. Bought at Wantirna market barerooted for $35 in July 2009. The bush has been doing very well. I used 50% of peat and 50% of soil as growing medium. This one and a smaller one had desease so I quickly bined it. I still have had 3 small ones in my garden. 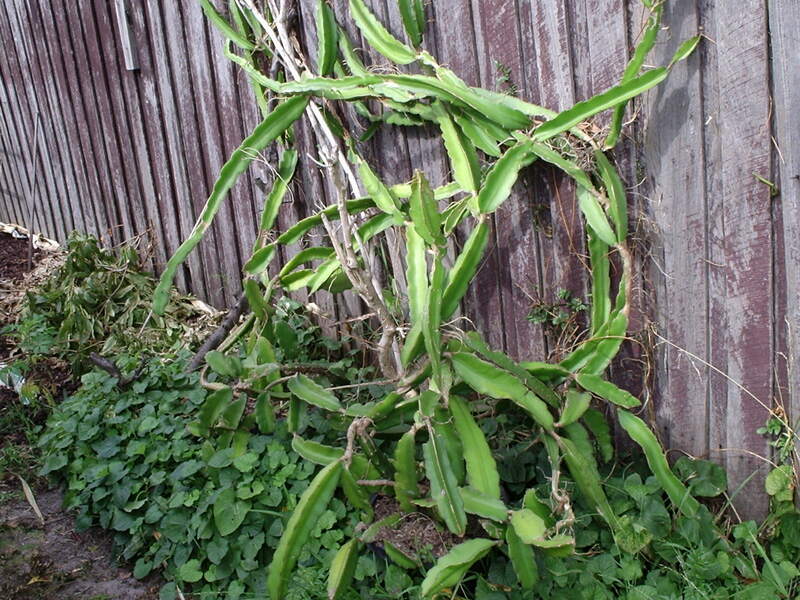 Easy to grow, even a cutting with rotten end can be successfully saved by removing the rotten bit and grow again. 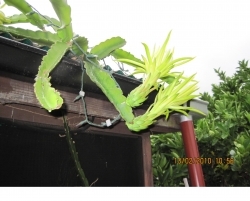 I had one flower last year and I noticed that the branch had the flower bending down so I have since made a proper stand for the vine to climb over. 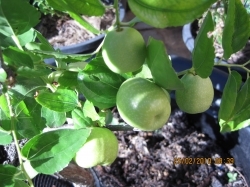 Hopefully, I will have some fruits this year. To speed up the growing process dolomite and dynamic lifter should be applied in growing season, just a bit every 2 months. so far no fruit set. Comments: - Scientific name: Peristrophe roxburghiana This plant is a food colouring plant. The leaves and stems are boiled for 10 minutes, the extracted purple juice is used to colour dumplings, cakes, rice or any recipes that use water. The final product is real purple colour. 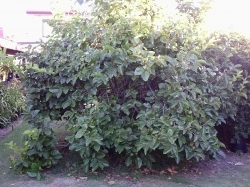 The more leaves to use the darker is the colour. Very easy to grow but since it is a rare tropical plant. 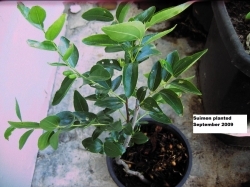 It is better planted in pot for cooler climate like Melbourne. 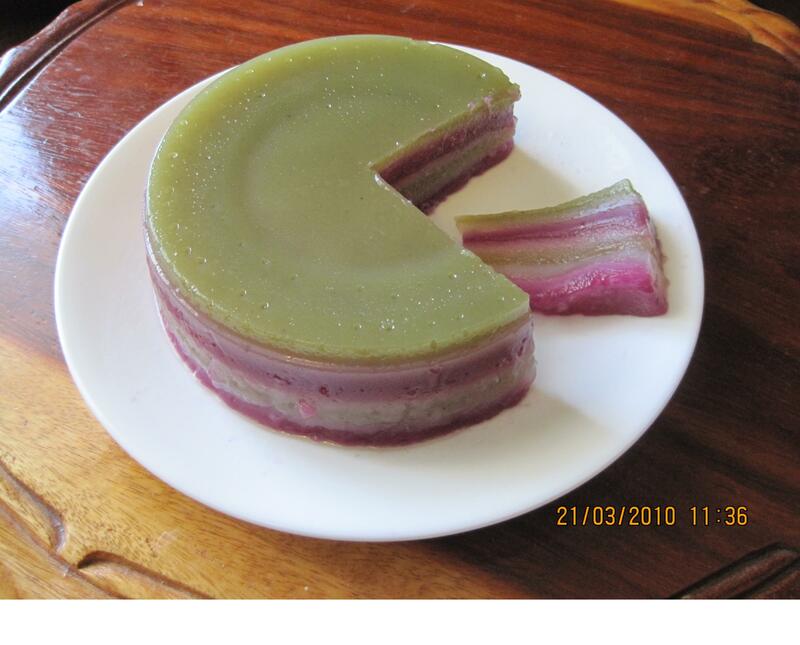 It has been used as food colouring for thousand of years in Asian countries In the second picture, I used the juice to make the famous Vietnamese sweet layer cake called "da lon" or pork skin cake. The cake is so mooth like pork skin but not having any thing to do with pork skin. The green colour is from extracted pandan leaves. Hi Nguyet - What is the Vietnamese name for this plant ? Hi Michael, The name is L� Cẩm, I also have L� gai. 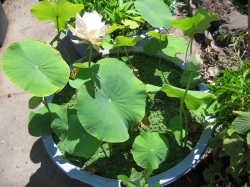 I can send you some cuttings of L� Cẩm, my L� gai is having flowers so when they have seeds I can send you some too. Hi Nguyet , Thank you for the kind offer but there is no need . I already spend so much time taking care of my fruit trees and I can't see myself having the time to grow herbs yet. Do you have seeds or cuttings of L� Cẩm for sale? Thanks for the reply. I will contact you again in December. 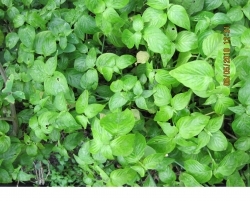 You are a great gardener, this plant will flourish back beautifully. 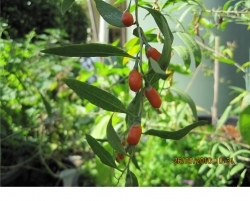 Do you still have the L� gai seeds? I would like purchase the seeds. Can you give me your email to contact you with. 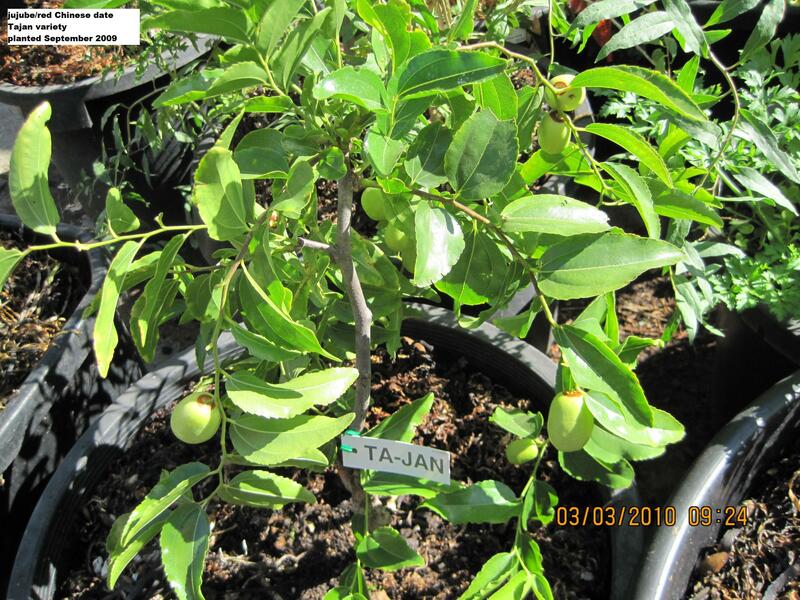 Hi Lychee, You can contact me jujubeforsale@yahoo.com.au By the way, L� gai seeds does not produce plant, someone has tried without any luck. 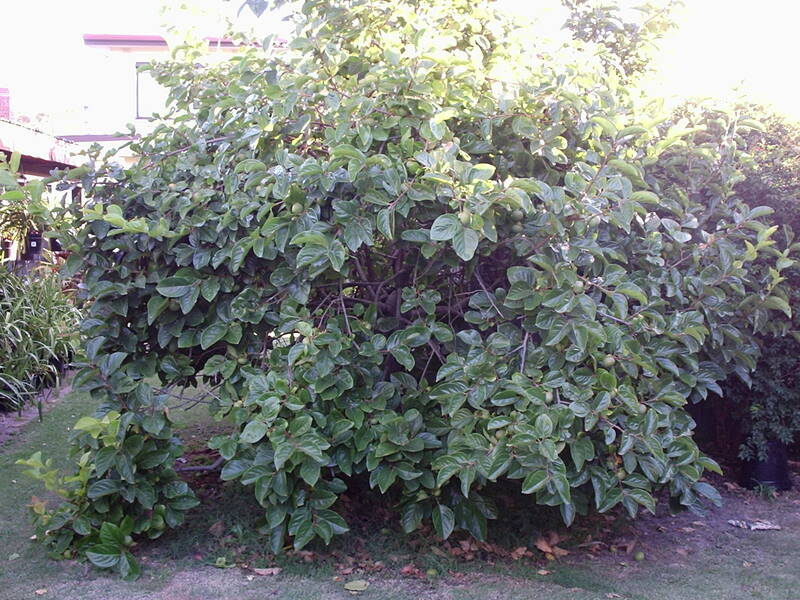 It took me 10 years to learn how to manage and appreciate this tropical variety tree for Melbourne climate. It needs lots of water to overcome the after taste biterness. Very easy to look after. 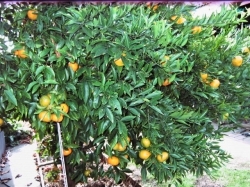 I prune the tree when the fruit is about an orange size so the fruits are sunbaking to get more sweetness. mulch heavily and lots of water from the rain and water tank this year. 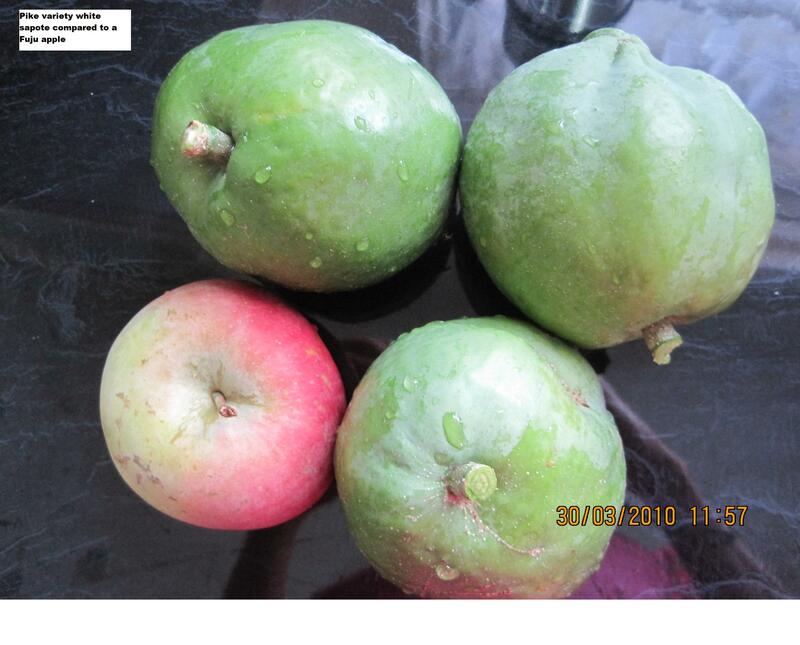 Fruits are much rounder this year. 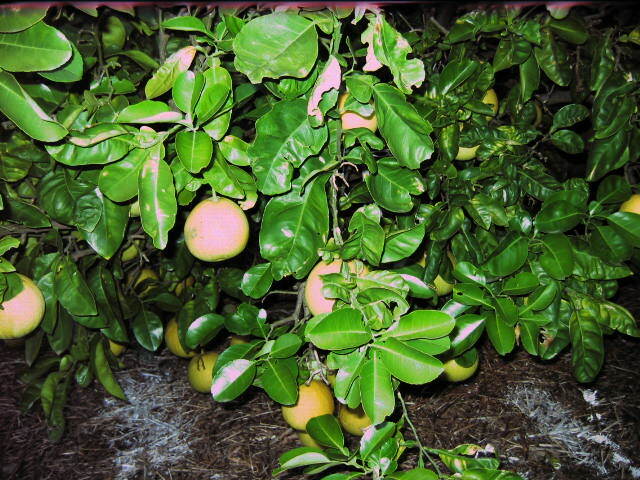 Just citrus fertilizer in Spring and Summer and some epsom salt , potash when fruiting. I gave it 5 points for the last 9 years but I have since upgraded to 7 this year, thanks to the rain. Nice plant to have. I did grow in the ground once but failed due to frost. - place the whole plant in a black plastic with 2 ripe apples, close the bag for a week. Flower will appear in 3 months. Blood and bone is added in Spring. 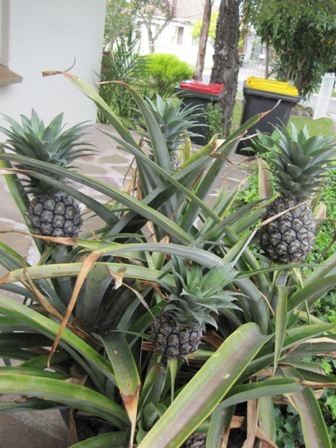 I will have 4 pines very soon in the same pot from Multiple heads of one pineapple I planted 2 year ago. None. Ants will come when the fruit is ripe. 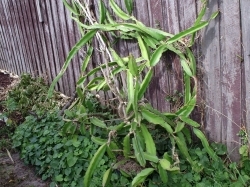 The strictly tropical plant has been in my house/garden for the last 3 years. 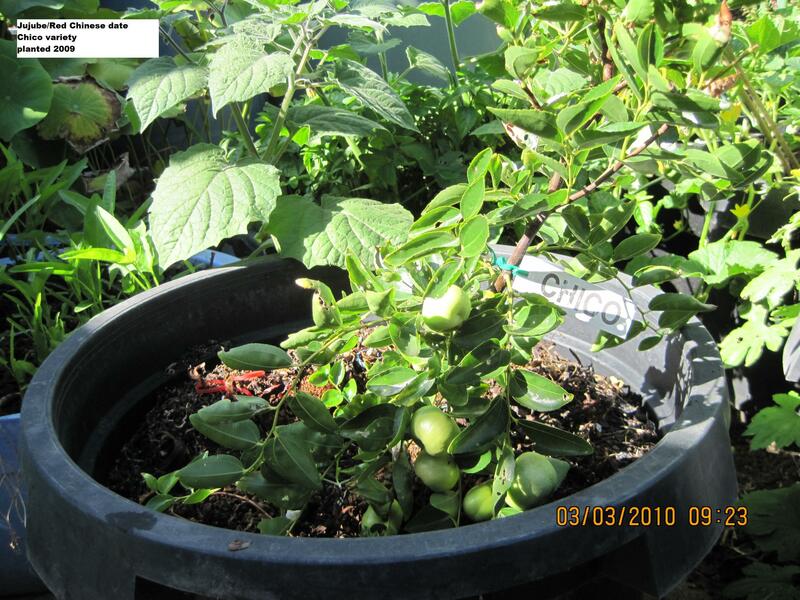 I am still testing and see how to manage this plant efficiently in term of water and temperature. I will figure it out very soon. 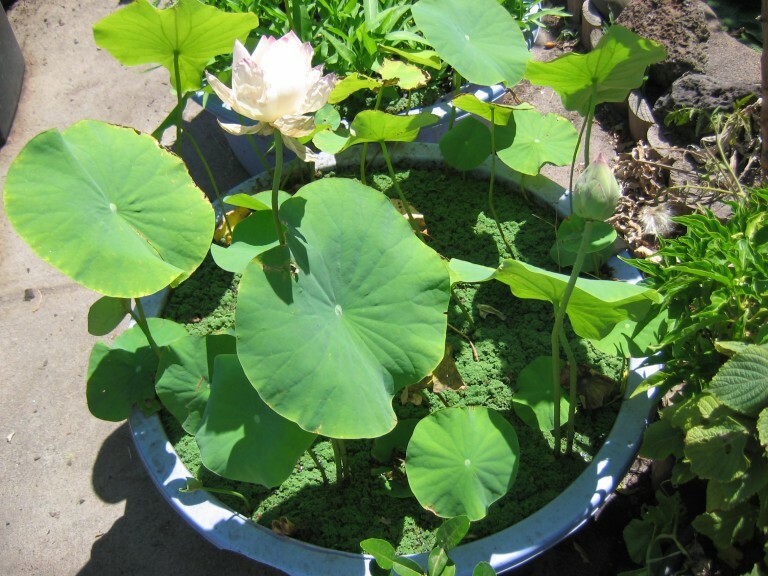 I have tested some little plants permanently in pots but stand in saucers full of water and so far so good. Some cuttings have been in a vase of water for the last 7 months and leaves still growing slowly. I found out about this by accident and all experiments have happened indoor during winter months. However, I water this big one sparingly just in case I loose it. I bring my pots inside the kitchen when temperature during the day under 15 degrees for a week or more. Anyway, before having conclusion I must test more to make sure my theory is workable before applying the rules permanently. 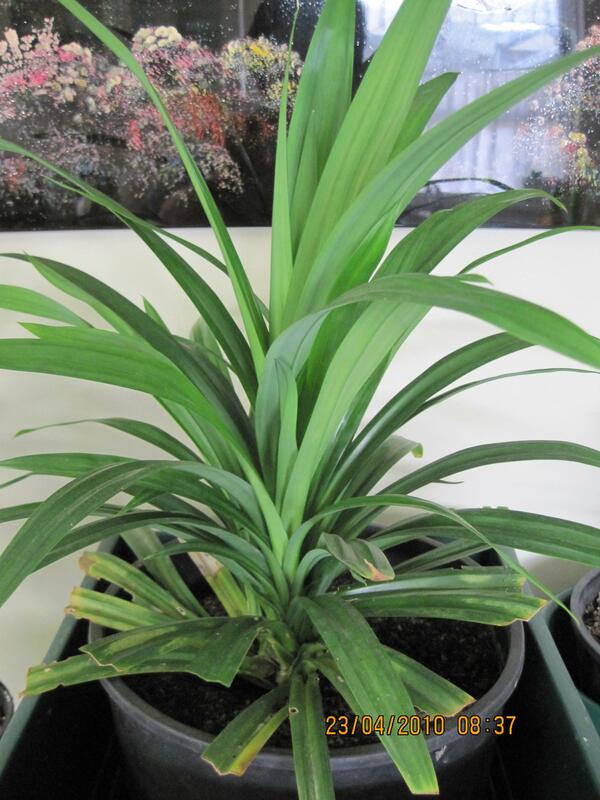 Conclusion: These pandan plants love water, the pot can sit in a saucer fill up with water permanently. The only trick is when the temperature is less than 15 degree celcius for a week than bring the pot inside the house somewhere bright and warm but not close to the heating point. Lovely fruits with avocado /sweet custard creamy flavour without fiberous texture. Very easy to look after. Prone to magnesium deficiency (yellow leaves in spring) but is quite easy to manage with epsom salt. Highly recommended. 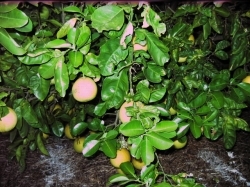 Citrus fertilizer and potash should be given once a year in Spring. 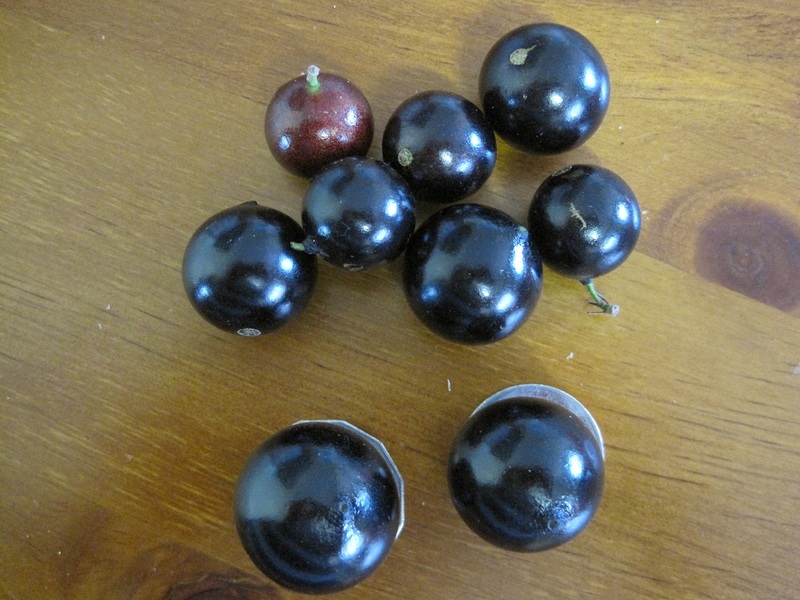 This year, not many fruits and very small and dropped very young. I think too much rain caused this condition. 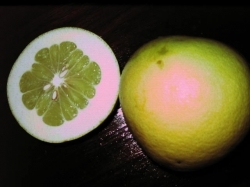 Bag when fruits are in light yellow or pale stage. Can be picked when mature, store in the fridge up to 2 weeks. 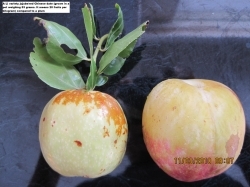 Will ripe after being taken out. Would love to taste one of these. one day hope to grow some. Do you still happen to have any white sapote tree's? Can you send me an email at peterantoniw@msn.com to discuss some things. 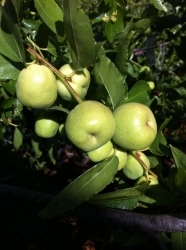 One of my best trees with plenty of fruits, Potash at flowering time. Mulch well. About 10% of young fruits do drop but I think it is part of the nature in thinning the crop. Fruits must be bagged otherwise they will disappear in few days due to birds. Highly recommended. Plenty of fruits as usual this year. Birds love the fruits so netting is a must. Very easy to look after. Nice tree. Fruits used to be very sour until I was told to fix the problem by adding some lime and epsom salt. I have been doing it very year after that. I also found that the tree loves water when fruiting. Fruits grow to certain size then the skin continue to grow but not the inside so the fruits is not firm to touch but softer, I know it is time to pick the fruits. Normally, this tree fruits every second year, last year it had a good crop and it looks like the same as last year. Thanks to the rain we have had lately. White flies but I do nothing. Bought the plants 18 months ago. Very easy to look after. Fruits are very sweet and refreshing. I was told not to prune during growing season because flowers normally appear at the end of long branches. Low mainternance, highly recomended. 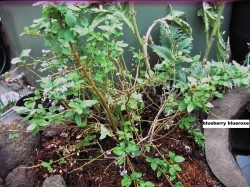 Easy to multiply by cuttings. Very easy to look after, the more water it gets, the more flowers it gives. 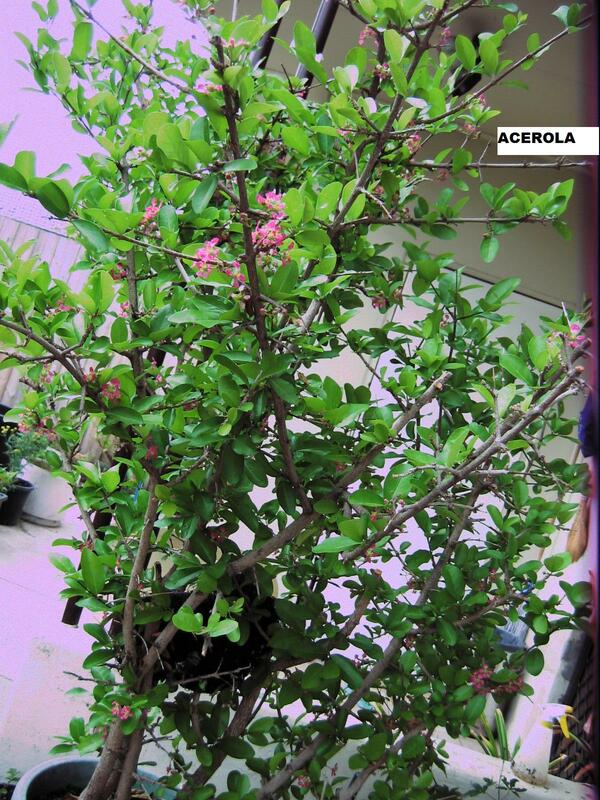 Lot of Cute pink flowers appear in Summer. 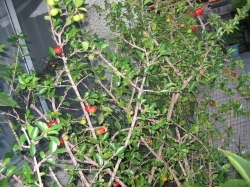 Red fruits ready to eat out of hand in about a month or adding to fruit punch. 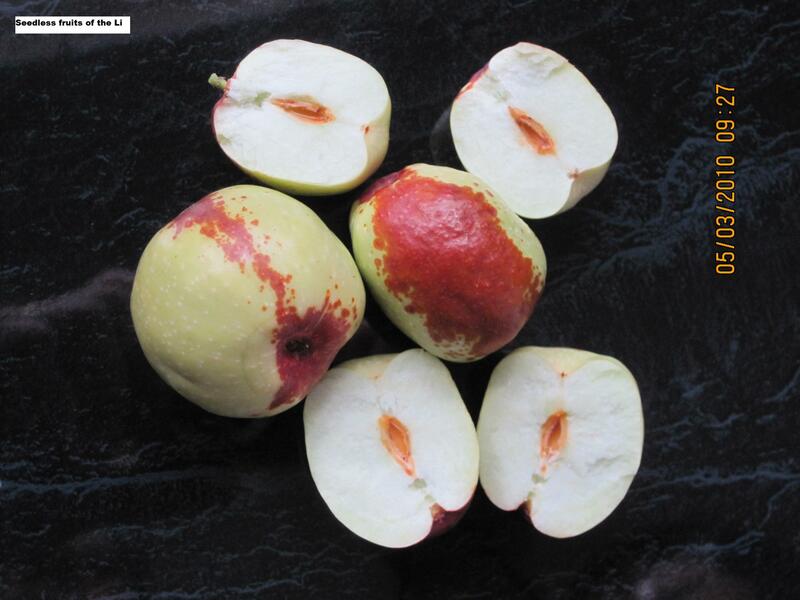 This fruit has very high vitamin C content. Fruits are used to make Vitamin C pills in USA. I lime once a year with just a teaspoon. 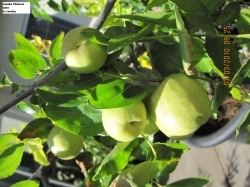 I get about 50 fruits a year for a tree in pot, I recon it is very good. However, netting is a must because birds love them. 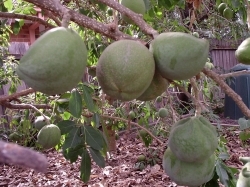 You cannot buy this fruit in melbourne so it is a good tree to have in the backyard. I have recently repot to 105 litre pot from 55 litre pot. This lime has special flavour in making fishsauce, beautiful fragrant. Fruits are a bit smaller than normal lime but it is worthwhile to have the tree. Fruits can be pickled to be used in certain dishes. 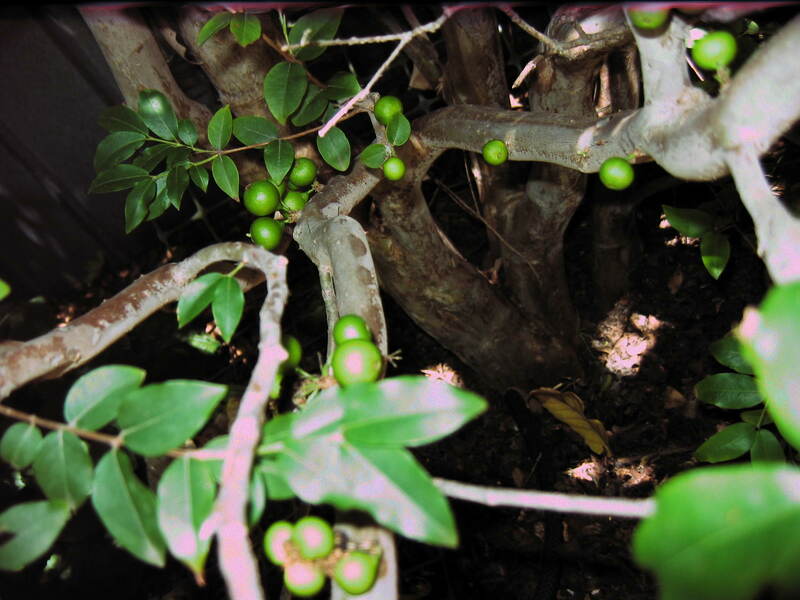 Hi Jubube, I am trying to grow one of this myself. I also live in Melbourne, I was told they will not grow well in our weather. Did you have to do anything special with your plant for it to grow so big? Thank you in advance. Hi Birdy, It should grows ok in Melbourne no special treatment. The first 5 years my tree most of the time not growing strong and all the fruits dropped but it gets used to the weather and started to produce fruits that stay on the trees. 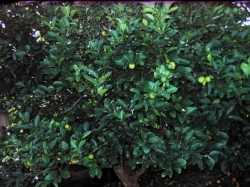 Just citrus fertilizer under the canopy, a bit at the time. Good luck. Hi Jujube - what a lovely tree you have in Melbourne! You have made me happy - a local nursery (Gold Coast Hinterland) told me not to bother with it as it needs more warmth. Time to prove them wrong! Very handsome tree producing a good crop every second year. fruits have sweet and sour taste and good flavor. Epsom salt and lime are given once a year. 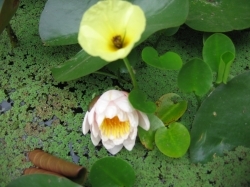 Rely on rain water to survive. The ponds help me to relax. I remove 1/4 of the content each pond every year. Give it some potash and top up with water every now and then.